This turned out awesome! I love how delicate it is. I will tell you that I used the Multi Cut feature because the first time it was too difficult to punch out. ooooh!!! This is GORGEOUS!!!! TFS! LOL...merci! Just checking out your site. I will send you an email tomorrow with the cards from DJ and Alphalicious. Merci for your summaries of the projects! 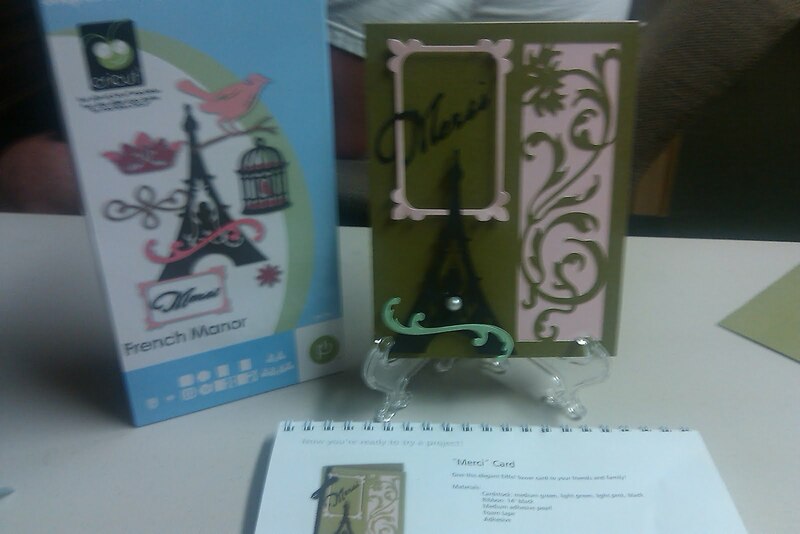 Merci...for showing us your card...It came out beautifully! Pretty site and card...found you in the Cricut Circle! Merci for the video. :) I love the French Manor cart. Gotta look into this Cricut Circle thing. I've heard about it but I dont really know what it is. Super new to Cricut in general. Just found your blog off the Circut Circle MB. Love what you did with the card -in fact I think yours is my favorite design that I have seen so far. Cute card!! 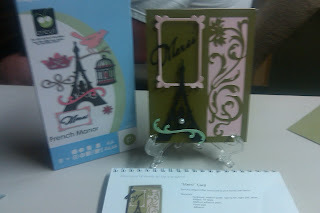 I love the delicate lacing on the edge as well as the eiffel tower image. Merci....Thanks for sharing it with us!! Merci! The cards looks beautiful! Tangee, Great job on the video. Love the card. Found your Blog via: Cricutscraplifters. Cute card. I was wondering what cartridges the club would receive. Thanks for sharing! Merci! The card is too cute! Love the pearl accent on it too. "MERCI" for sharing!! I watch your videos and love them. I watch your videos! I love your new blog! Merci for sharing and inspiring! !